With under a month remaining in the regular season, the playoff picture in the Eastern Conference remains unclear. The Toronto Raptors have a firm grip on the one seed, leading the second place Boston Celtics by five games. The Celtics, meanwhile, have six and a half games in hand over the rest of the pack. Barring a 2011 Red Sox-esque collapse, the top two spots in the East are set in stone. After those, however, is where things become interesting; with just four games separating the three through eight seeds. The Celtics could realistically end up facing any of six teams in the first round of the playoffs. The Eastern Conference has a reputation for being inferior to the West. While this may still hold true at the top end of each conference (please don’t give us a Raptors vs. Golden State Warriors NBA Finals), the East has a number of deep, competitive teams. Regardless of who they face, the Celtics are not going to cakewalk through their first round matchup; especially considering their current injury situation. Over the next few days, we will take an in depth look at each of their potential opponents and how the Celtics stack up against them (assuming Kyrie Irving is healthy). If the season were to end today, the Heat would be packing their bags for a trip to Causeway Street to face the Celtics. This is likely the best case scenario for the Celtics; because of all the Eastern Conference playoff contenders, the Heat are the team whose style of play least translates to playoff basketball. The Heat play a very effort-oriented style of basketball. Similar to the 2015-16 “We’re One Superstar” Celtics; Head coach Erik Spoelstra’s team capitalizes on the occasional lethargy exhibited by most NBA teams throughout the long regular season. If a team doesn’t show up to play against the Heat, they will likely be run off the floor. Effort and defensive intensity both increase drastically in the playoffs, so relying on their underdog status is not going to work for the Heat. Miami does not have a superstar. Rather, they have a deep team loaded with very good role players. Guard Goran Dragic and Center Hassan Whiteside are the two standouts; with the former being selected as an injury replacement for the 2017-18 All-Star Game. 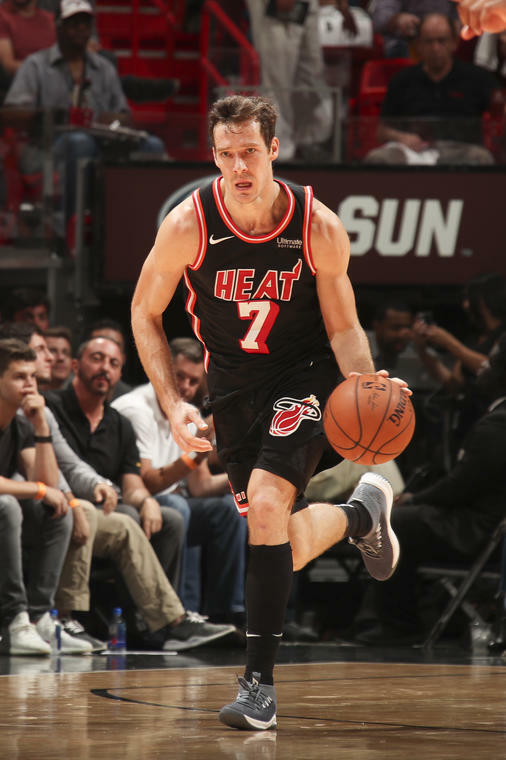 Dragic controls the pace of the game very well, and can hold his own as both a scorer (17.6 ppg), and distributor (4.8 apg). In the two times he has faced the Celtics this year, however, Dragic has upped his scoring average to 24.5 per game. His ability to consistently guard a healthy Kyrie Irving, however, is questionable. Whiteside is known as a great shot blocker and rebounder. Though he has the length and athleticism to be a potential Defensive Player of the Year; the former second round pick tends to gamble for steals and blocks, leaving his 1.7 blocks per game feel somewhat hollow. Still, when engaged, Whiteside is among the best rim protectors the NBA has to offer. The strength of the Heat can be found in their depth and defensive versatility. Forward James Johnson has the speed to guard most small forwards, and the strength to guard most power forwards. More importantly, he may have the best hands in the NBA; and I’m not talking about catching the basketball. I'm assuming Serge Ibaka is hoping to avoid a first round matchup with the Heat. Wings Justise Winslow and Josh Richardson will likely spend a lot of time guarding Jayson Tatum and Jaylen Brown, respectively. Both Winslow and Richardson are upper-tier perimeter defenders, with the latter shooting a respectable 39.1% from deep. Speaking of perimeter shooting, wing Wayne Ellington participated in this year’s NBA Three-Point Contest, and is a threat every time he catches the ball behind the line. Though his 38.9% success rate doesn’t place Ellington among the NBA’s elite sharpshooters, he is one of those players that warrants a sigh of relief with every missed three-pointer. Guards Tyler Johnson and Dwyane Wade both provide ball-handling capabilities. Wade’s return to Miami appears to have revitalized him, as the Heat legend is averaging 13.7 ppg in the 12 games he’s played since being dumped for a second rounder by the Cleveland Cavaliers and de facto GM LeBron James. Center Edrice “Bam” Adebayo reminds me of a less-polished version of Houston Rockets center Clint Capela. At 6’10” with elite athleticism, Adebayo has a chance to be a very good player. Finally, we come to game seven legend and Washington Wizards co-owner: Kelly Olynyk. The former Celtic is currently putting up career numbers while mostly coming off the bench. Averaging 11.2 ppg and 5.6 rpg, both career highs; Olynyk is making use of his increased playing time with his new team. 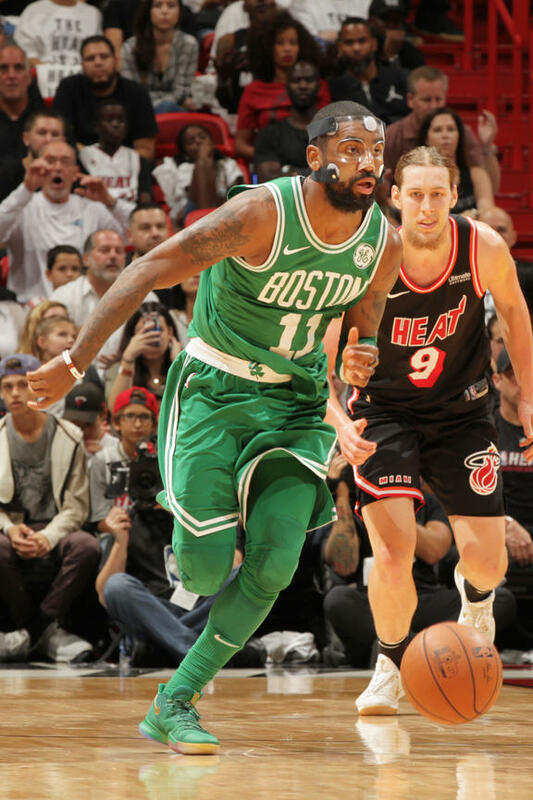 In the Heat’s December 20th victory over the Celtics, Olynyk dropped a career high 32 points, including six three-pointers. 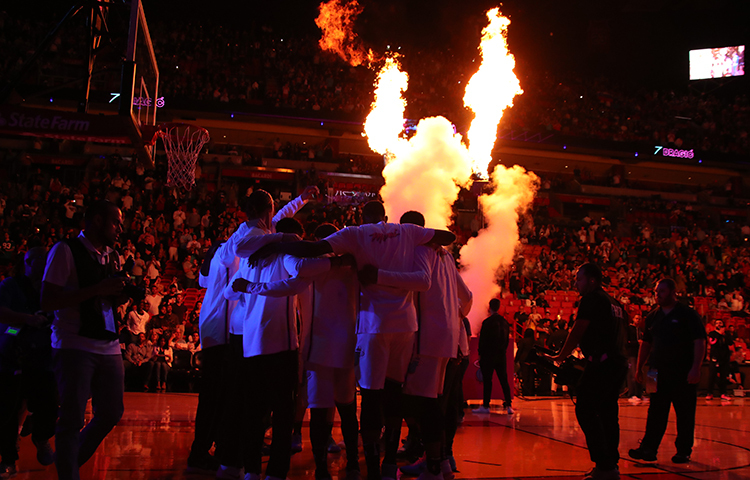 Overall, the Heat are a deep, balanced team with little star-power. Their conditioning and effort-based style of play is good for stealing regular season wins; but come playoff time, I don’t see it translating to success. They simply don’t have the firepower to score consistently against an engaged Celtics defense. A series against Miami would be a fortunate break for the Celtics. I don’t see it lasting more than six games. If it does, however, beware of The Klynyk. Follow Jeremy on twitter @jeremyoconnor!